• There are reported claims that the best-performing companies averaged 40 percent early cancellation of projects using Stage-Gate techniques to review value against risk. 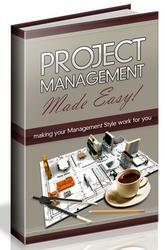 • Critical resources are freed up for higher-value projects. • Projects that are not performing well, whether due to technical, schedule, cost, or scope problems, do not continue to drain resources and dollars.